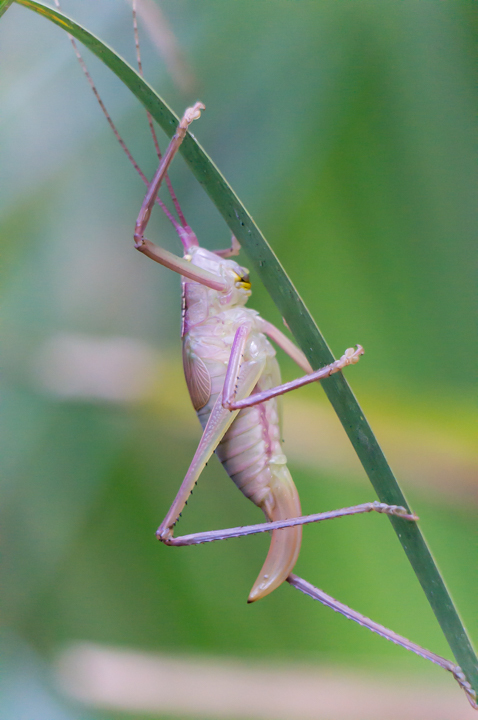 This katydid belongs to the family Tettigoniidae, which means "leaf hopper." The colloquial name "katydid comes from the sound they make when they rub their legs against their front wing. It is usually only the males of the species who create this sound in order to attract a mate. The sound is then detected by the tympanal organ located on the insects front leg. Their "ear" is mechanistically very similar to ours, only it located on a different part of their body.